March 8th is International Women's Day. The UN website states that "International Women's Day is the story of ordinary women as makers of history; it is rooted in the centuries-old struggle of women to participate in society on an equal footing with men." 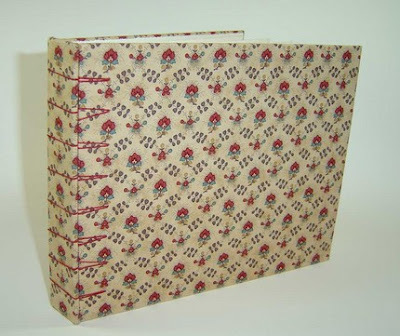 This photo album is elegantly bound using the Secret Belgian Binding, by Laurel of StrawHouseBooks. It is called "Women Gain Right to Vote Photo Album." In her description of this book, Laurel explains, "the fabric that covers this 36-page photo album or scrapbook is entitled 'Senaca Falls.' It was designed for moda fabrics by Brackman and Thompson to commemorate the struggle to secure the right to vote for women in the United States." Thanks for that note on Womens Day..! I have some more interesting information on the same liness..!